You may remember that I injured my shoulder in June. During the summer I completely tore off my supraspinatus tendon, one of four tendons in rotator cuff in shoulder. I have operation for re-attachment of my tendon scheduled on Dec 20. A person with such injury normally should not be able to raise his hand above the shoulder level and should have considerable pain. I can raise my hand anywhere and have almost no pain. This, along with my previous observations led me to conclusion that I am not quite normal person. A person with such arthritis problem in ankle which I have, normally travel in a wheel chair, not on a bike. So, I decided to use time before the operation for travel to West Indies. For me, the names like Trinidad and Tabago, Turks and Caicos, Martinique, Guadeloupe, Curacao, Antigua and Bonaire sound like very romantic, intriguing and exotic names. It is interesting to know, if you have the same feeling toward these islands. Let me know. So, I will fly to Caracas, Venezuela on Nov 1. Than will take a bus to Guiria on a Western corner of Venezuela. From there I well take a ferry to Trinidad. From Trinidad I will start islands hopping using ferries and planes and will finish at Dominican Republic in the beginning of December. Which islands I will visit is not clear yet. I will very much appreciate any advice from those who are familiar with these places. I will return home on Dec 14, 2006. For a long time I heard a bad stories about crime in Caracas. The Lonely Planet Forum, ?Thorn Tree? added even more. They advised to avoid Caracas as a plague. I was seriously scared. 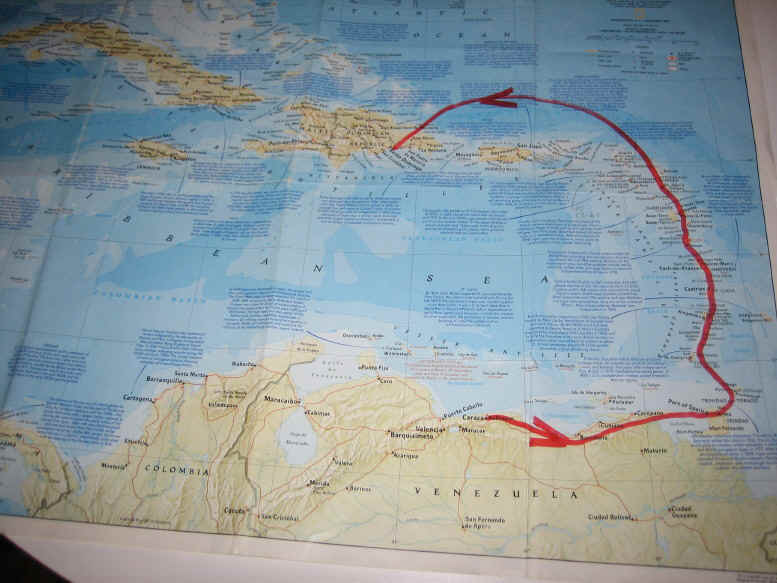 I even consider to skip Caracas and fly directly to Port of Spain, Trinidad and Tabago. But it was too late to change itinerary. When I arrived at Caracas airport, the fear was gone and was replaced with excitement in anticipation of expected straggles. It was like this always when I was supposed to cross white water or ascend difficult mountain. After all, the fear is not good help in such situations. I tried to think about all different possibilities. I am most vulnerable when bike is folded, so I unfold bike inside the airport, put backpack on, and rush toward awaiting criminals. It was incredibly slow traffic on the road from airport. Bus arrived at side of Parko Chentrale at very filthy place in the darkness. Tour book advised not to take any suspicious looking taxis. They will rob you and then leave you in the middle of nowhere. All taxis there look auspicious. So instead of taxi, I rode bike to Sabana Grande through a pretty ugly part of town. And again I had chance to prove how wonderful my way of traveling is. It was dark alleys with lots of garbage and suspiciously looking guys in there. Walking tourist probably would be robbed there or worse. But on bike you appear and disappear so fast that nobody even have time to make a decision. When I ride an overpass above the highway I noticed that it is no rails there. One experienced white water rafter wrote that walking South Bronx is emotionally equivalent of going through rapids. I had similar feeling. I found LP recommended one star hotel Crystal and got room for $20. It was not bad, even had a bidet. Manager advised me not to walk around late or I will be robbed or killed. people in such places get very exited when they see an adult man on children?s bike. They show big finger and shout ?good bike? They probably do not see many people from the other world and appreciate somebody who risk to venture in their ghetto. As a result I should say that I am probably one of the few people who likes Caracas. I like it because it geographically perfectly set, and because I can handle it. There are almost no tourists in Carcas. Local people with whom I communicate were very friendly. And even I know only few world in Spanish, I was able to understand what they say because every world was accompanied with very expressive gestures. 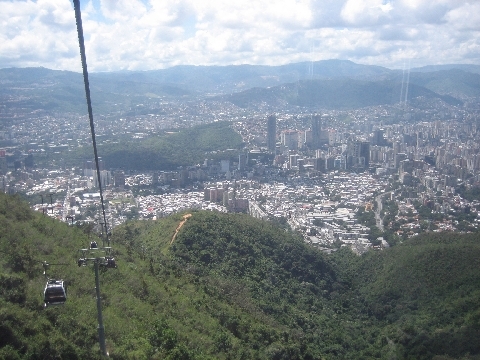 Next day I took teleferique to Avila mountain (2100m) in the range separating Caracas from the ocean. From the top of mountain I rode bike to Atlantic Ocean shore, an incredible 2100m descent. It was steepest descent I ever did. I have to stop many times and cool my brake pads and wheel rims using all liquids I have including my own body liquid. Unfortunately I cannot develop good speed. Due to my shoulder and knee problems I cannot afford to fell. Both (shoulder and knee) by the way became better after descent. From Caracas I took overnight bus to the city of Guidad Bolivar. 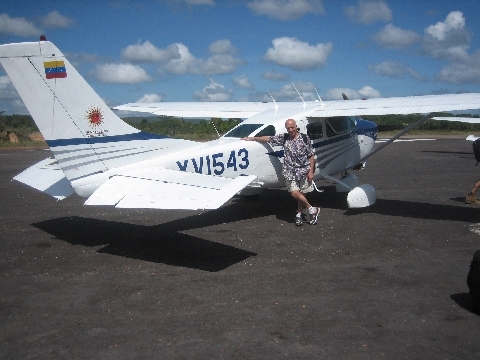 From Guidad I fly o Angel Falls for 3 days 2 nights tour. The earth surface in SE part of Venezuela is made of 3,000,000,000 old sandstones (Precambrian). This type of sandstone is capable to form vertical walls when eroded. This results in forming table mountains with vertical walls about 1,000 meters tall called tepuis. No animals or plants can jump to these mountains, so life on the top of these mountains is preserved at whatever age they were formed. Most animals and plants at the top are endemic, they do not exist anywhere in the world. They can be found elsewhere only as a fossils. Table mountains are not impressive visually, but rather they impressive for our imagination as preserved pieces of past time. Writer Conan Doyle was so impressed by this phenomenon that he wrote his famous book "The Lost World"
It rains a lot here. So when water falls from the top it forms huge waterfalls. Angel fall is tallest in the world, 979 meters. I visited it not in the best time, the waterfall was not very impressive, but the tepuis around were. Angel fall is not easy to reach. First I took overnight the bus from Caracas to Ciudad Bolivar. It was worst organized bus company I ever seen. Also buses are freezing, they keep temperature at 12C. 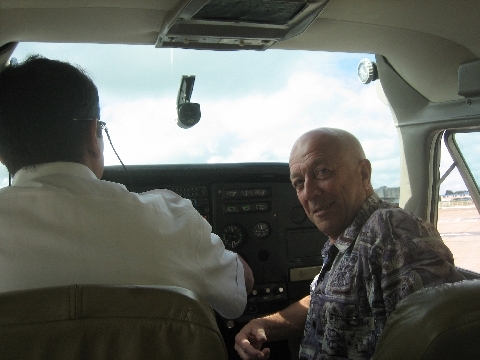 From Cuided Bolivar I fly in a 6 seat plane to Canaima and from there it was normally 3 hours boat ride to hammock camp (ours was twice long because of broken motor). From camp it was one hour strenuous ascent through jungle to waterfall. We came back sweaty and dirty, People were dreaming about shower. There were none. It was river from Angel waterfall just below the camp. But nobody take bath in river, except for me of course. I left Russia 27 years ago and I know Western mentality (which is quite different then Eastern) pretty well, but sometimes I still do not understand motivation. I knew that nobody will bath in the river. I still do not understand why. Can anybody of my readers explain me why? From Cuidad Bolivar I took another long bus ride to Santa Elena de Uairen on the border of Venezuela and Brazil in the heart of Gran Sabana. Only one tepui available for tourists is Roraima. It took 6 days strenuous ascent to reach Roraima. 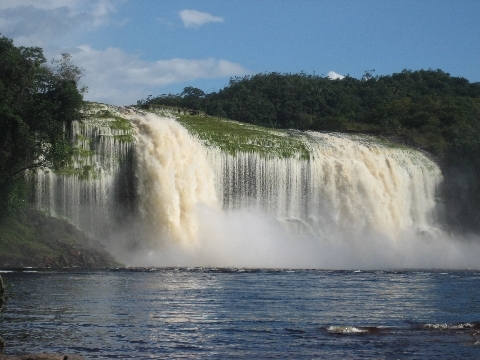 I took two days tours instead to see local waterfalls and observation points for tepuis. One waterfall was quite amazing entire waterfall was made from semi presizion stone jasper (yashma, rus). 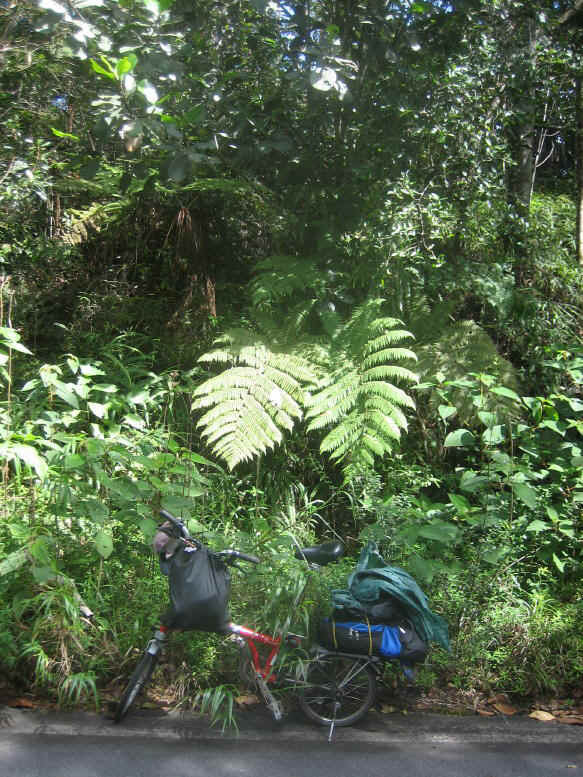 Travel Notes on biking through the jungle. These organized tours with non-professional guides who wanted only one thing, to finish the tour as soon as possible and go home, were not what I wanted to do. In my last couple days in Grand Sabana (near the border of Venezuela and Brazil), I took my own tour through the jungle which was great! When excellent Caracas-Manaus automobile road enters Grand Sabana, it goes for 40 km through the jungles. This part of the road is called "escolera" because on the distance of 40 km the road gains 800 m. in altitude. I rode this road from the Brazilian side, so almost all the way I rode downhill. The jungles on the side of road were primary jungles. "Primary" jungles are original undisturbed ones, "secondaries", are these which grow on the place of jungle burned by people. 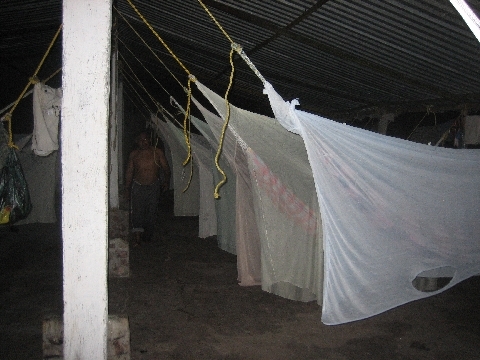 I took jungle tours in Brazil and Bolivia in 2002-3. We have to ride jeep for several hours and ride a boat for a few more hours to reach the primary jungles. Here it was on the side of the highway. Thick, impenetrable jungles grab you with thorny bushes and tall flowery trees bring their large smelly flowers right to the passing cars. Monkeys jumped across the road from one tall tree to another. There was little traffic on the road, about one car in 15 min, a lot less at night. When I stop, I heard the jungle voices. There were a lot of bird voices. This place is known to the bird watchers. Several paths were cut through the jungle for them. Jungles are so thick that without machete you cannot make a step in them. I did not rush, I camped two times in the jungle. Being alone in the jungle, hearing all the jungle voices, especially at sunset, at night, and in the early morning was great. It was an unforgettable experience. It is impossible to clear the place for a tent in the middle of the jungle without a machete. So I camped on the foundations of abandoned houses. Jungles quickly regain from the people their lost territory. Roofs, doors and windows, all wooden parts are gone. The cement floor survives for a while. One night it was tropical rain. My light weight tent could not survive tropical rain. The next morning I have to dry everything. I tell you, it was my best short bike ride ever. If you will go downhill, (which is the best) you have to exit the bus at Soldato Pionere Monumento at about 767 km marker. Jungles will start a few kilometers downhill. In about 20 km, it will be small abandoned housing compound. You can camp in one of abandoned houses as I did. Be sure to have plenty of time to collect dry wood, it is not much of it in wet jungles. Soon there will be a police check point. It is the only human presence in entire escolera. In about 15 km, there is another place to camp. Abandoned road on the right leads to the high voltage line. You can find an area cleared of jungle there. Thankfully, no tour companies make tours to this place, but knowledgeable guides, whom I talked with, agreed that this is the best. So especially you my biker readers, rush here while it is not commercialized. I took the ferry from Venezuela to Trinidad and Tabago. It was only 2 more tourists on the boat. It was very long immigration procedures on both sides. So we arrived at Port of Spain very late. All hotels were full. Two other guys from the boat agreed to share the room in overpriced hotel far from the center, offered by taxi diver. I assembled bike and rode through the empty town in search for hotel. Port of Spain is known to be not safe place, but on bike I am OK. Eventually I found hotel where manager allow me to stay till 6 am for $11. black color. People were polite and friendly to me as a representative of rare minority of whites, I guess. On Tabago I went to NE corner of the island, where two villages are located: Speyside and Sharlottsville. There are about 6 Km between them by the road and about 12 km by boat. I stay in Sharlottsville and next morning started swim from one village to another. Maybe you already noticed my passion for the long distance swim. I swam around smaller part of Phi Phi Island, just few days before tsunami, I swam around Ko Wai island near the boarder of Thailand and Cambodia and around Besar, one of Perhential Islands, Malaysia. It all started long time ago. When I was twenty-something I swam across Karadag from Biostation to Planerskoe in Crimea Peninsula on Black Sea with my friend Vlad D. He invented the way of supporting himself during the long swim. He ate raw mussels. I picked up this idea and initially used to took mag with me to boil fish. Later I learned how to bake fish on fire and in this last swim I just eat it raw, like sushi. And it was the best. In the beginning of my long swim I killed with my underwater gun two big fish, which slow down my movements a lot. I exited to the shore for a few times to relax, drink fresh water, which I carried and eat sushi. It was OK while I was on Caribbean side. When I reach Atlantic side of Tabago Island waves became much bigger and there were no sandy beaches anymore. I decided to exit to rocky shore. I found appropriate place. But I did not realize that I need two hands to climb out of crashing waves area. In one hand I hold the gun and in another my bag and fish. So I cannot climb fast enough and next wave hits me very strong. So I threw my gun and fish to the ledge and climbed out of dangerous area as soon as possible. I was able to pick my bag and fish, but gun was taken away by next wave. After some rest I continue to swim. Suddenly I noticed a shark, which circled around me. It was scary. I produced loud noises and made aggressive movements. Sharks move away and returned again, each times closer and closer. I had many bloody cuts on my body from recent landing attempt. What did it want, me, fish or both? I decided to give it fish first. But I have to untie the knot on the rope from my bag of fish. Each time I tried to untie it, shark came close and I have to stop my work to make scary movements. Eventually I untied it. It was "bowline" knot, not self tying knot. So many times in my life I thank mountaineering school 'Alibek ', where I learned all these very useful knots. After day of rest I rented canoe and sail to the place where I lost the gun in attempt to rescue it. I found a sandy beach and landed on it, because I needed a big stone to anker my canoe while I will be searching for the gun. I had long rope to tie stone to the canoe. Landing was fine, but all my attempts to get back to the sea failed miserably. Each time I tried to put canoe through the area of crashing waves, canoe was turned sideways, fulled with water and sand and thrown on the shore. I myself can go to the open water. I trained my self how to do it for all my life, but I definitely cannot take canoe to the open water. Evening approached and I decided to spend the night on the beach in hope that waves will get smaller in the morning. I made huge fire and tried to break couple coconuts, I found there. Later I decided to try onemore time using different technique. I allow canoe to go to ocean with returning wave, but did not hold on it. Just opposite push it. To my surprise canoe easily went through crashing waves area. But it was still dangerously closed to the shore. I reach canoe and push it again and again far from the shore. When canoe was far enough from crashing waves area, I took fins which were securely tied inside the boat, put them on and climb on canoe. Without fins it was almost impossible to climb on canoe and not overturn it. Arthur R. is this technique used by ocean kayakers? I came to my village in darkness, bought bottle of rum and drink in a memory of my friend Alex Kazimirov who will be seventy this day, if he was not killed in car accident half a year ago. If I was not so lucky I also may not survive till my seventy. Why I am keep doing such risky things I ask myself. And I found an answer. I am mountain climber at heart. And the essence of mountain climbing is calculated risk. Being unable to do mountain climbing anymore. I substitute it with other similar activities. In this note I will give you more practical information then usual, because when I studied standard sources of information before my trip I did not find much. This area is not very popular with backpackers. So I hope my notes will be useful for those who want come here. I always prefer to use boats, not to fly between islands. As for hotels, I stayed mostly in LP recommended hotels. They are always clean and safe. I usually have chosen cheapest one. Any hotel is so much better then leaking tent during tropical rain. So why waist money on more expensive one. So I started from Guiana, Venezuela. Ferry leaves to Trinidad and Tobago once a week on Wednesday at 1:30 pm. It costs about $100 including all taxes. Ferry arrived at Port of Spain in darkness. Remember, hotels may be full. On Tobago I stayed at village Sharlotsville at Nicholson guesthouse, $12, tel 868 660 5521. Mr Nicholson is most dark skin person I ever seen. He looks and speaks a little bit weird. Maybe because of this, his guesthouse is empty while other costing three times more are full. I stayed for four nights and I should say that Nicholson is honest decent person. I definitely recommend his hostel. There is a plane from Tobago directly to Grenada. So you do not need to return to Trinidad. A plane departs at 6 pm and cost $110. Capitol of Grenada, St George`s is a nice little town, especially the pictures is the harbor. I stayed at "Local Food Restaurant", for $22 (it is guest house also) It is 50 meters toward the airport from LP recomended "Yates View Guesthouse". Yates View is nicer and more expensive, but it was ferocious dog there who hated my bike. Main feature of Grenada, in my opinion, are local juices, especially "moaby". It is made from the bark of local tree, bittersweet with exotic taste, it was best soft drink I ever tried. From the food, the hot salt fish sandwiches were very good too. 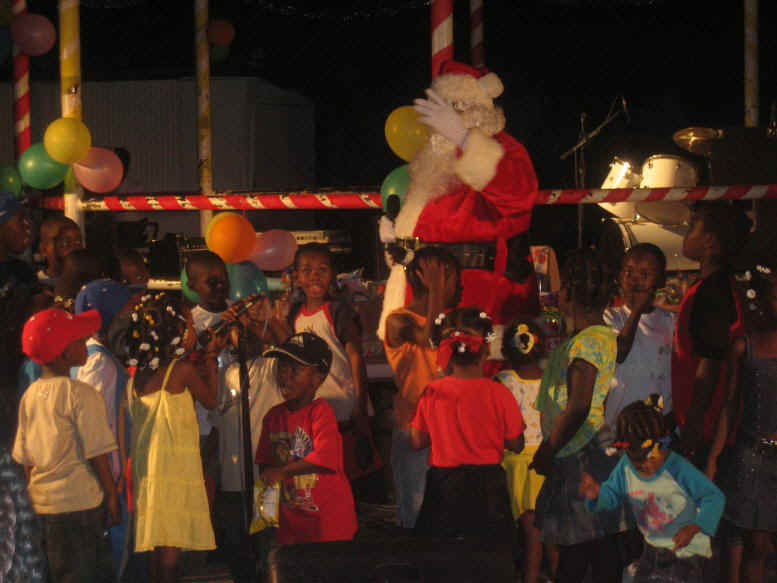 Ferry from St George`s to Northern island of Grenada country - Carriacou depart every day at 9am, cost $23. Carriacou is a little sleepy place. I stayed at John's Unique Resort for $25. Ferry from Carriacou of Grenada country to Union Island of St. Vincent and Grenadines country departs Monday and Thursday at 1:30 pm and cost $10. It is the only way to get to St Vincent without flying. Union island has some kind of pirate feeling, a lot of bars and saloons. 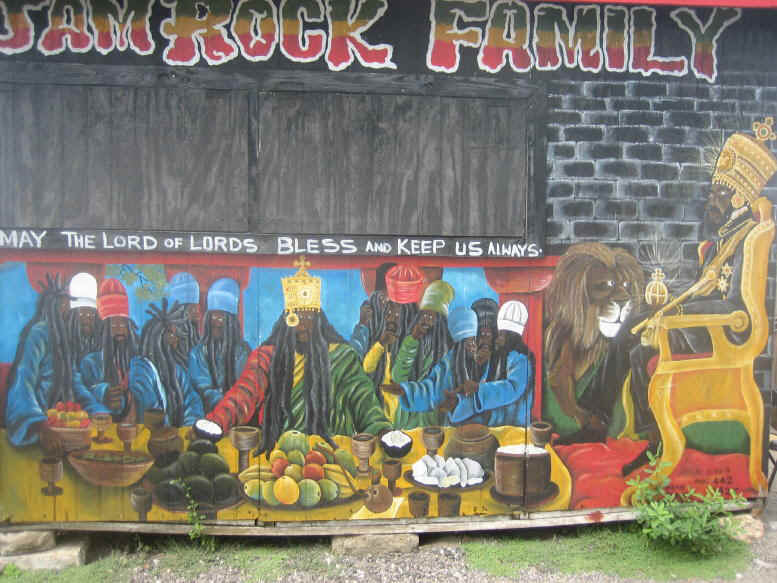 But it is mostly locals who sit there and smoke their ganja. However, there are some people from the yachts too. I stayed at Lambi`s guesthouse for $22. I took water taxi($30) for famous snorkeling place Tobago Keys. It was nice sparkling water, nice beaches and lots of fish and turtles and yachts. 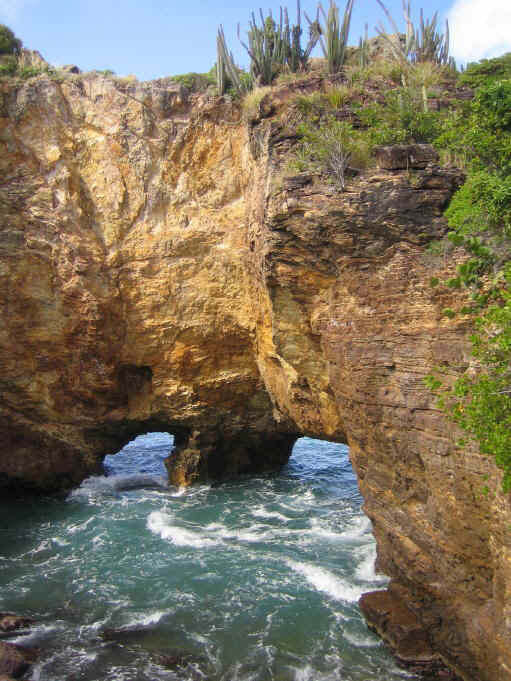 There are some tours to Tobago Keys, which include lunch and drinks, they cost twice more than taxi, but they stay at Tobago keys only for 1 hour 30 min. I stayed all day and circled all 4 of islands. They are small. For lunch I eat some white sea urchin`s eggs, Misha M. forgive me. It was delicious. Grenadines islands are popular with rich and famous. Donald Trump built the mansion on Canouan island. Palm island is popular with rock stars. Costs to stay about $7,000 per night. The movie "Pirates of the Caribbean" was filmed at Grenadines too. Ferry from Union Island to the capitol of country St Vincent and Grenadines - Kingston depart every day at 8 am, cost $11. Kingston is ugly town full of street vendors, beggars and hustlers. One of them even followed me to ATM machine. I stayed outside of town at Sea Breeze Guesthouse, $20, run by nicest old Scottish lady. I went to Young Island, to be admitted you have to pass an interview. It is nice resort island with price around $300 per night. Next morning I flew to St Lucia. Price $90 to $150 depend on availability. departure at 7:50 am. There is no ferry, so you have to fly. At capitol of St Lucia - Castries I stayed at a no name guesthouse not mentioned in LP, 50 meters out of town after crossing the bridge on the road to airport for $18. Town is nicer than Kingston, but obviously had problems with crime. Somebody tried to catch me at night, another suspicious man was waiting for me at my hotel entrance. He wanted to help me to open door. Again thanks to my bike I was saved. Fort De France is little piece of France transferred to tropics. French architecture, little French cafes, croissants, brochettes, nice smiling people, many visitors from France, black people are elegantly dressed, very polite, no ugly looking Rastafarians...a dream. Maybe years later when Muslim majority democratically elect to transfer France to a Muslim state, this will be only piece of old France saved. I stayed at Hibiscus Guesthouse for 36 euro. For dinner I bought piece of french salami, box of Camembert cheese, some fresh bread and bottle of French wine, all for 8 euro. I made tea with my own electrical spiral. I have to carry two of them. Some islands use 220 volts, some 110. Next day I tried restaurant, it was much more expensive and not so nice. As I learned before, it is much better to buy local products at supermarket and prepare them in my own hotel room using electrical spiral. I took overnight ferry to Guadeloupe for 37 euro, this is where I am now. I skipped Dominica, I got sick of these independent nations, dominions are much better. Capitol of Guadeloupe, Pointe A Pitre is nice French town, like Fort De France, but smaller and more quiet. Unfortunately there are only two hotels in town and they are quite expensive. My next destination is Antigua and Barbuda. Thank you for sending me letters. It helps very much when traveling alone. And excuse me for not answering them in time. Internet is often slow and expensive in these remote places. Now I will answer most of your letters. Caracas is really dangerous. I continue to hear stories of people who get in trouble there. Key to your safety is this: "you should not look like typical target". It is like in animal world. Predatory animals do not jump on anything which is moving. They attack only familiar targets. In human jungles, criminals also jump on familiar targets. The typical target is a tourist with big backpack, camera on his neck and money belt on his belly. When they see old man on children's bike, they cannot make up their mind so quickly. I guess traditional bicycle travelers on big bikes with large bags can be targets too. So buy a folding bike and go! My ankle was really healed doing exactly opposite that doctor told me. But I had a bursitis (water in knee). It seems logical that strenuous exercises, accompanied by intensive blood flow helped water to be removed. I am not sure if the same medicine will help you. I was very scared by the shark. I was alone, far from the shore, without a gun, very scary. My first thought was: "that's it, finished". But I also methodically did what a person in such situation is supposed to do according to the National Geographic: I produced loud noises and made aggressive movements toward shark. I was prepared to push my fingers to its eyes if creature will attack. It was real fighting shark, not nursing one, and it moves with such high speed and so elegantly. But I do not know its name. I will later look on books on sharks in Tobago area and find out. I do not know was it kayak or canoe, I do not know the difference. But it was absolutely impossible to sit in it and went through the surf area. But empty vessel easily went through breakers. To get back to kayak while away from the breakers was easy in fins. I did it many times before, going snorkeling from the kayak. Key to safety from being bitten in jungle is to wear long pants and sleeves. It was hot and humid so I did not. When I tried to collect dry woods after sunset, somebody had bitten my leg pretty strong. I thought it was a snake, but it was probably ants. They are big here and locals eat them. I had two wounds looking like chemical burns on my legs. It looks like some poisonous slug crawled down my leg and left poisonous trail, which later gets inflamed and skin darkened. It was not many mosquitoes in jungle. More harm came from other creatures, see above. But Misha, even if it will be tons of mosquitoes I would go. I was born and grown up in the country where to get to Amazon jingles was more difficult that to get to the Moon, as Vladimir Dinets said. This is why Russians are so eager to travel. By contrast Americans who always were allowed to travel anywhere are not so eager to travel. Only forbidden fruit is sweet. Ed B. And Nick G.
Martinique and Guadeloupe are the best places in West Indies. Guadeloupe is better. French St. Martin will be number three. And Dutch St Maarteen number four. I think they are competing with each other and they are heavily subsidized by their parent countries. I never seen so good and inexpensive food and alcohol at supermarkets as here. Somebody planned to film my trips sometimes ago. I hope if I survive another 5-10 years somebody will. Dear Daniel sorry for delayed answer. I visited all 8 countries of Central America 2.5 years ago. Most dangerous places I visited were Belize City, Guatemala City, Managua, Nicaragua and San Salvador. By contrast, Granada, in the same Nicaragua and Antigua in the same Guatemala and San Ignazio in Belize are quite nice and safe. Lonely Planet advices on safety are mostly adequate. Most robbery happened in touristy places, near expensive hotels and restaurants, cruise ship piers and other places where most juicy targets are located. 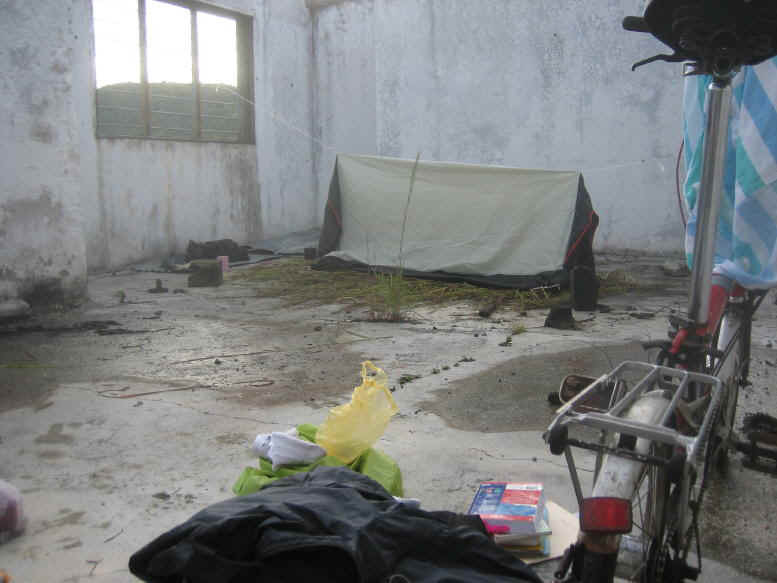 Backpackers' ghetto are generally safer, but not much. Key to your safety is in your mobility. You have to wear sneakers, not these clumsy flip-flops in which you cannot jump or run. In order to keep your feet dry use Dr. Scholl's insoles. Your backpack should be quite small. You really don't need much stuff in these warm countries. One set of clothes and one pair of shoes all you need. Wash you clothes while you having shower in the evening, and wring it out in towel or bed sheets and it will be dry tomorrow. Silk dries much faster. As for buses, chicken buses(where locals ride along with their chickens) are completely safe. 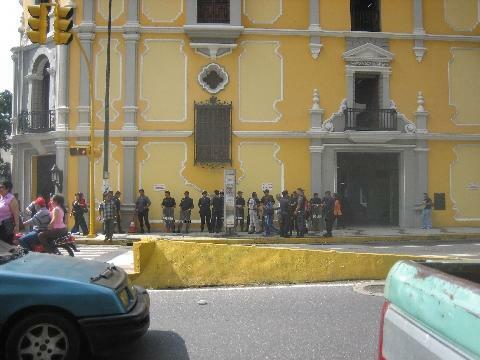 Tourist bases, like these going from Antigua, Guatemala to Copan, Honduras also quite safe. They ride along busy highways during busy hours. These ones which are attacked mostly are hotel buses which pick-up guests from airports. So do not stay in hotels which provide such service. My backpack is light enough to carry it on my lap during the bus ride, so I never get separated from it. It is also convenient to put head on it and sleep during long bus rides. I have to give bag with bike to driver to store it on the bus roof, but nobody ever tried to steal it. As for bikes, I had a chance to learn that my previous advice need to be corrected. It is not a good idea to buy bike and immediately go on trip. You have to be very experienced biker. There are no bike path in Central America. You have to share the road, often without shoulders, with rude truck drivers. You have to jump from the road to the sidewalk and back. You have to not be afraid to swirl slalom between moving cars. If not, bike will be not your advantage but rather your liability. You also may fall and break bones or to be hit by car. As for price, my current Brompton is quite expensive. 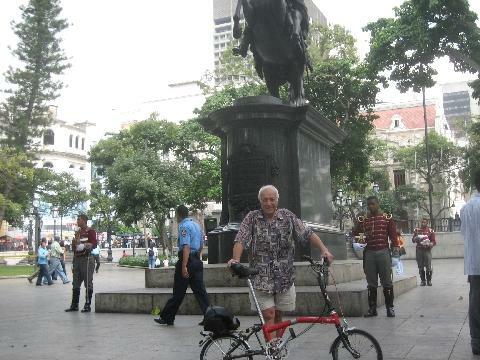 But my first folding bike, used Dahon bicycle, costs only $150. You also have to be able to fix your bike by yourself. I would advice you to visit Panama also. Panama like Costa Rica, but much more natural. I mean not looks like it is made for tourists. I just came back home from my Western Caribbean Trip. My last note was from Guadeloupe. I was not fair to Guadeloupe. Now, after I visited almost all islands I should say that Guadeloupe is the best. I am talking about capitals. Pointe-a-Pitre, the capital of Guadeloupe is bigger than Fort-de-France, the capital of Martinique and it is nicer. It has a larger and prettier downtown and few very nice markets. I generally do not like markets, but not in Guadeloupe. The best market is sea food market, see pictures. The problem of Guadeloupe is with housing. There are not many hotels in Pointe-a-Pitre. The main mode of housing is private homes. Owners rent rooms in their houses, mostly weekly, and they advertise it in special magazines, in French. So if you are not fluent in French, forget it. The only normal hotel is Saint-John Hotel located at the waterfront, 65 euro per night. Two other hotels I visited are managed by short tempered not English speaking black man, who after awhile shout to me the only English word they probably know: "NO, NO, NO". You can find on Internet tons of expensive hotels, but they are far from the capital, in the middle of nowhere. So why to go to Guadeloupe, you can find the same in Miami or Tampa. From Guadeloupe I bought an airline ticket to St. Martin/Sint Maarten with stopover at Antigua and Barbuda for 200 euro. At St John's, the capitol of Antigua I stayed at Piggotsville Hotel, $20, which is nice, but far away from everything. Without bike it will be a torture to walk there. You will not be able to find it on your own. Young black man helped me to find it. He was talking in very fast and quite intimidating manner, common to local black men. But what he said actually was quite nice. He said he wants to help a "visitor", me, to prove that the people of Antigua are not thieves or robbers, but nice and good Samaritans. Antigua is a quite commercialized cruise ship destination. St. Martin/Sint Maarten is half French half Dutch island, which is quite nice. On overall scale I would say it is equal to Guadeloupe. I stayed in the capital of French part, the city of Marigot in LP recommended Center hotel (former Le Royale Louisiana) for 40 euros. It is good, and I definitely recommend it. From St. Martin I took a short ferry ride to Anguilla. I stayed in capital city The Valley at LP recommended hotel Casa Nadine Guest House. Owner raised price from $20 to 45 euro in July of 2006. It was most expensive and also the worst hotel in my entire trip. All other guesthouses in capital are closed. Anguilla is not worth an overnight visit, in my opinion. Also I visited St Bart, the island of millionaires and one of only two islands with white people majority, another one is Saba. There were no plantations on these islands and essentially no black slaves were imported there. The island is nice, but I am not millionaire. 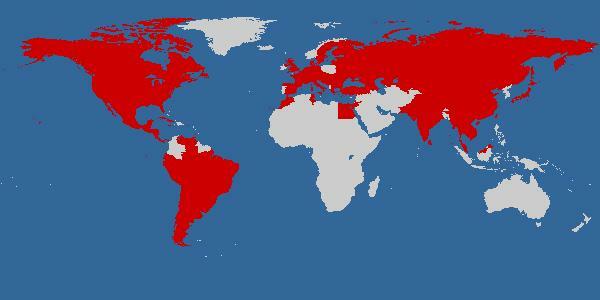 Altogether I visited 11 countries which raises the number of countries I visited to 97 or 43% of all countries see picture. Western Caribbean is the most interesting place which you can reach from USA for only 25,000 miles on frequent miles programs of most airline companies. Venezuela is quite interesting country and I definitely will came again, especially now after I learned how to handle Caracas. Venezuela is already well on the way to Socialism. Black market is flourishing, there are long lines at banks and ATMs are not functioning the same way they do in the rest of the world. Forget credit cards and travelers checks, you have to bring CASH in US dollars to Venezuela. It is also important to know that there is regular and quite comfortable bus traveling on route Caracas - Manaus. I definitely will ride it one day. Many travelers even such as single traveling women, heading to Colombia from Venezuela and they are sure that it is safe. Colombia is the only big country in S. America which I did not visit yet, so it is time for me to do it. I went to trip with two diseases: bursitis in the knee and a torn tendon in the shoulder. I had an operation for re-attachment of tendon scheduled for the middle of December. Both problems are gone. The conclusion is: traveling is a unique medicine, which fixes even such incurable problems as torn tendons. 1. Biking through the jungle at escolera, Venezuela. 3. 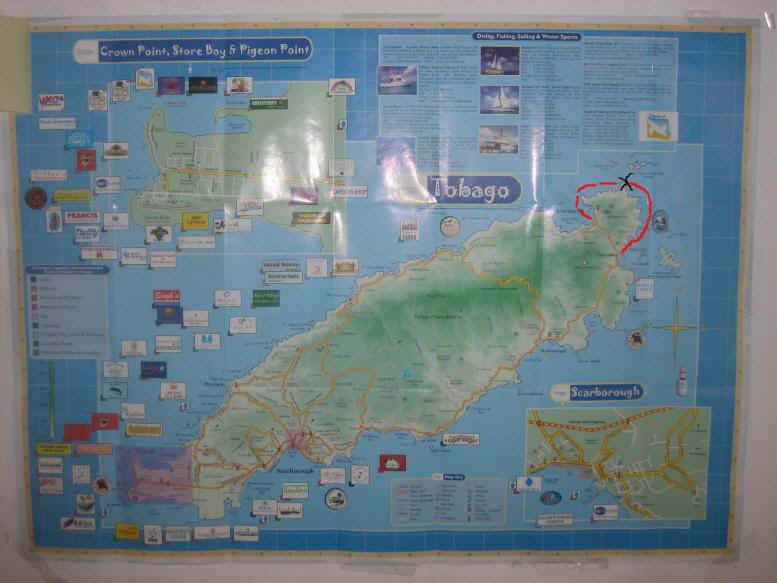 Tobago Island map. Red line in the NE part of island shows the route of my swim. Black cross is where I met shark and later quit my long swim. 5. 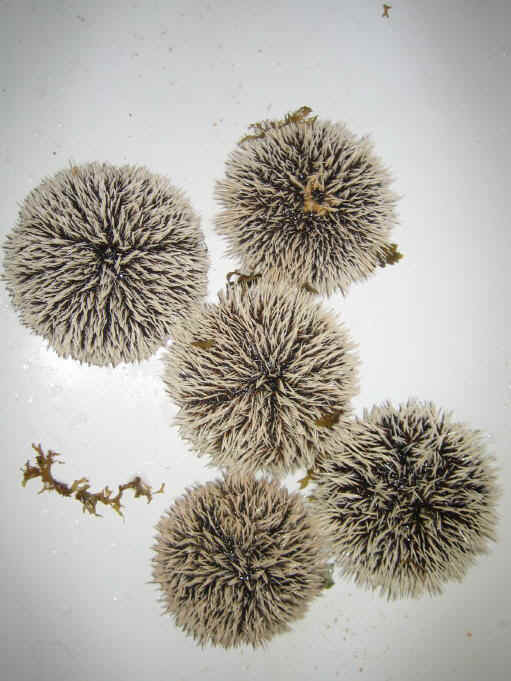 Sea urchins. Sea urchins sushi called "uni" are most expensive one. It costs 7.5 euro a piece at St. Martin. 6. 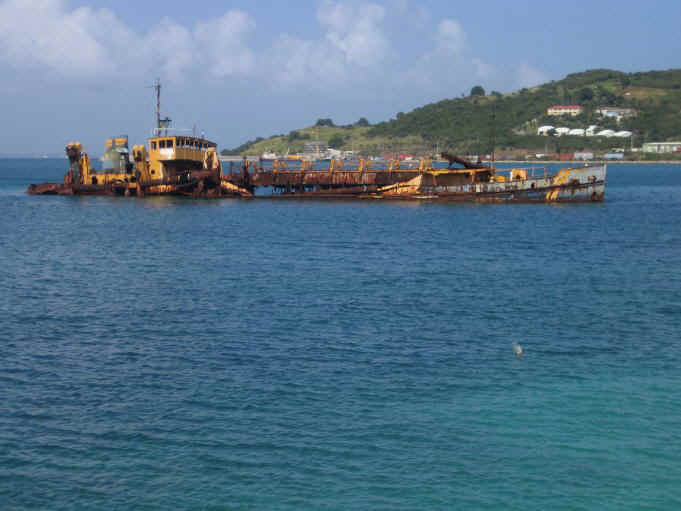 A dredger (zemlecherpalka) wreck near Marigot, St. Martin is the best place for snorkeling. 7. The most pictures place at St Martin is not shown in any tourist brochures. I found it accidentally. 8. 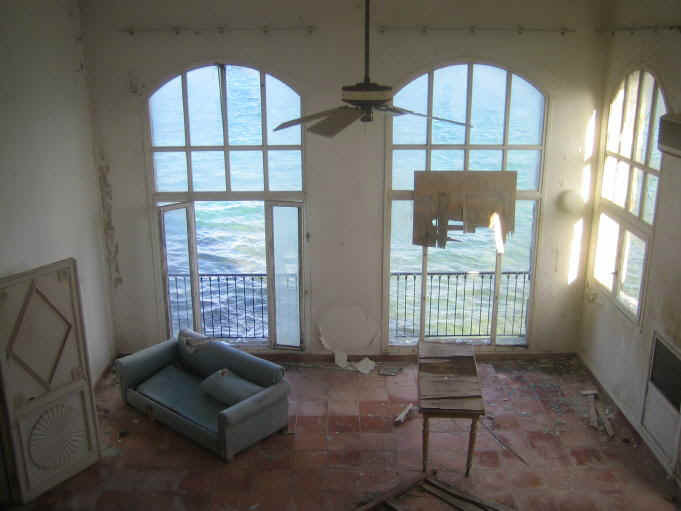 Luxury resort at St. Martin destroyed by hurricane and abandoned.